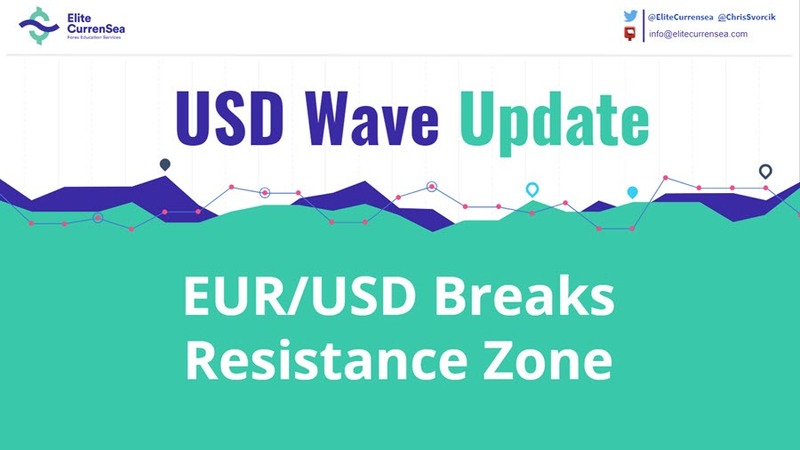 Meta description: The EUR/USD made another bullish breakout above the resistance box (dotted orange) and could be ready for a bullish continuation. TheEUR/USD made another bullish breakout above the resistance box (dotted orange) and could be ready for a bullish continuation. The EUR/USD could be building a wave C (purple) pattern that could aim at the Fibonacci retracement levels of wave B vs A. The broken resistance could now act as potential support. A break below the support trend line (blue) however would indicate a larger bearish correction as part of the wave B (purple). The EUR/USD breakout could be part of an impulsive wave 3 (blue) pattern as long as price stays above the broken resistance (dotted orange box).